The holidays at work are a pretty fun time of the year. There is usually less work, more dinners/parties, and of course gift giving and receiving. While it’s not necessary to exchange gifts at work, I find that it’s pretty common for managers to give gifts to their direct reports… and also for close coworkers to exchange. With close friends and family members, you probably know the person well enough to have good ideas about what they would like. Since work relationships don’t always get super personal, it can be tougher to choose appropriate gifts. So what should you buy your boss and/or coworkers if you’re not really sure what they’re into? I have some ideas below that I think are thoughtful but not so specific that you run the risk of being too off base. You’ll notice that many of these gifts are professionally geared, and could easily sit on their desk at work. That’s sort of the point. 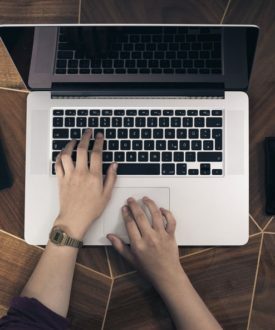 Give something useful, cute, or nice, but also have it loosely relate to work. 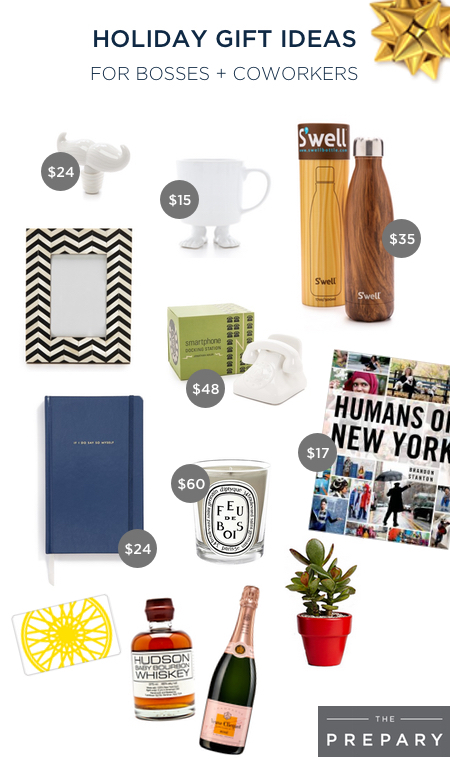 Here are my top gift ideas for your boss or coworkers. 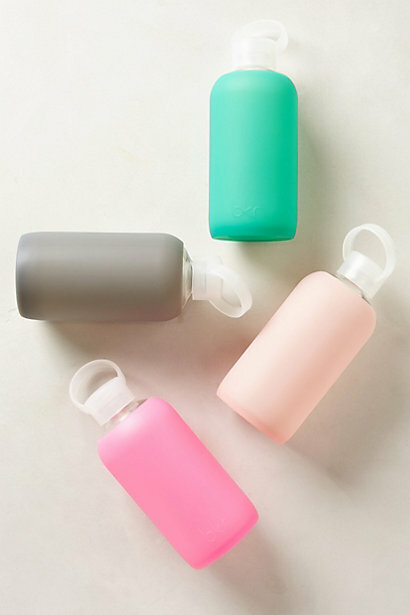 Eco friendly water bottles – The S’well Insulated Water Bottle pictured above is pretty cool because it keeps cold beverages cold for up to 24 hours and hot ones hot up to 12 hours! Pretty good. I’m also a big fan of this BKR water bottles which my amazing former boss Amy bought for me and a few others last year. Coffee Mugs – The one pictured above happens to be one of the cutest coffee mug I’ve ever seen but there are so many good options out there. I like the idea of stuffing the mug with a favorite candy, tea, or even simply putting a nice card inside. Picture frames – Everyone gets happier with photos of friends and family on their desks so I like this as a gift idea. Bonus points for getting a picture they love from a family member (or pulling from social media) and putting it inside before gifting. Notebooks or 2015 agendas – A slightly nicer version of a typical notebook is another good gift and there are many out there to choose from. The one above is from Kate Spade but you could even go with a less expensive version like the Sugar Paper for Target Collection (which I’m loving too). Who doesn’t like to start a new year with a fresh notebook? Coffee Table Books – Last year I bought Amy (mentioned above) the Humans of New York book that had just come out. I knew she really liked the blog so I thought it would be perfect. If you know your coworkers are into something (like cars, cooking, interior design, fashion, etc.) there are so many different beautiful coffee table books that would make an amazing gift. Fancy Candles – I find that everyone loves a luxurious candle like the Dyptique one above but will rarely treat themselves to one (because hey, they’re kind of abnormally expensive for a candle!) My friend Liz bought the one pictured above for me and I not only loved it, but thought of her every time I lit it. 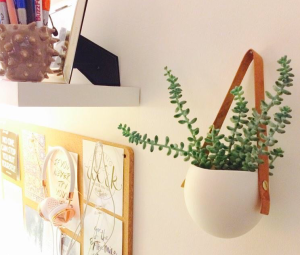 Desk plants – I’ve gotten a few succulents or potted plants vs. flowers for the last few special occasions and they last forever! The one from my August 2013 birthday is pictured below (and from The Sill). Still kicking after 1+ years and it even grew! A nice bottle of something they like – Alcohol is not always a good choice so make sure you feel it’s the right fit (i.e. you know they love champagne) before gifting it. Giving a bar accessory to go along with it is a nice touch too like this Jonathan Adler wine stopper. If the mustache is not your thing, there are also many animal options which are adorable. Gift card to their favorite restaurant, coffee place, or workout class – Since you spend so many hours with your coworkers, you probably know a good deal about their routine. Getting them something you know they’ll make good use of it practical and thoughtful. Will you be buying your boss and coworkers gifts this holiday season? What ideas do you have so far? I know it’s early, but happy holidays everyone! 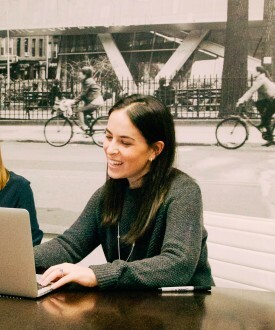 More posts to come on the holiday season and what that means for your job search.